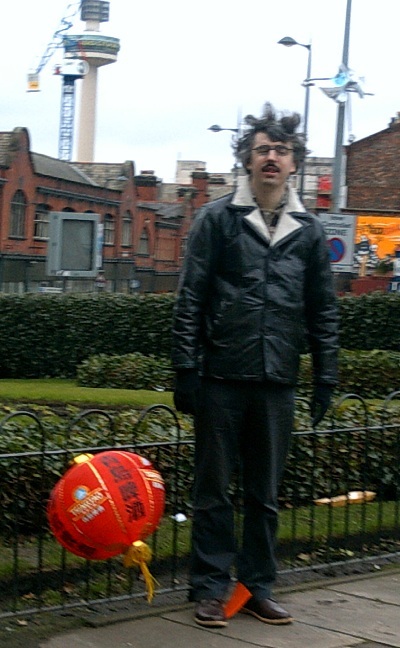 I went to Liverpool today to see the Chinese New Year celebrations in Chinatown. There were many crowds there to watch the entertainment, firecrackers as well as a fun fair and market. 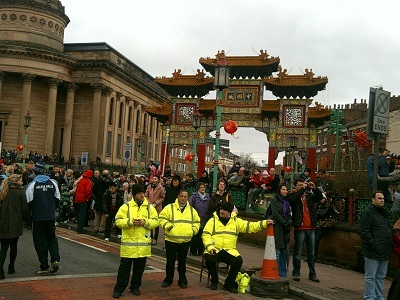 Roads such as Berry Street and Great George Street were closed off giving it a carnival feel. Below is a video I recorded of the dragon in Berry Street. The crowd was nice and friendly. There were plenty of families there. 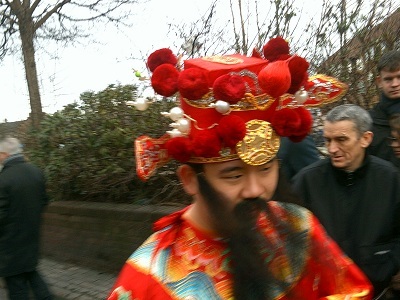 Children were being handed out red envelopes by a guy in costume (see below for a picture). Certainly the Chinese know how to celebrate the New Year in style!